On Thursday’s Mark Levin Show, Rich Zeoli from WPHT fills in for Mark. Make no mistake we’re living in a police state! 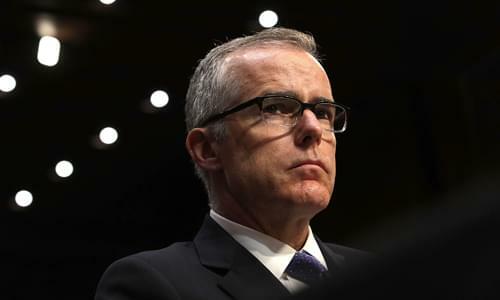 Former Assistant Director of the FBI Andrew McCabe considered a soft coup on the presidential campaign of Donald Trump, by leaking information they know to be false to their accomplices in the media. When Mark Levin said they spied on Trump— he was right! Although the media labeled Mark Levin as a conspiracy theorist, it turns out that his analysis was spot on in March 2017. The Barack Obama hold-overs in the FBI used surveillance on the campaign. By spying on Trump the rogue FBI and DOJ officials tried to legitimized their investigation. They debated coercing cabinet members to invoke the 25th Amendment to undo the legitimate election of Donald Trump as President of the United States. Today CNN posed the question: “was it a coup or a concern?” The real concern is that the media is not concerned that any of these subversions occurred at all. Despite no evidence of conspiring with Russia, this bias against President occurred for eight days, yet no one has paid the price for the perversions of justice displayed in this failed coup. Later, ABC News in Chicago is reporting that police are investigating whether Jussie Smollett staged his alleged MAGA attack with help of other actors from the TV show “Empire.” Afterwards, Speaker Nancy Pelosi says the border crisis is a manufactured emergency and that future Democratic Presidents might tackle gun control as a national emergency. Of course Pelosi is wrong on this as she usually is, and her limitations on the border barrier compromise bill only helps foreigners entering illegally—not We The People of the United States.